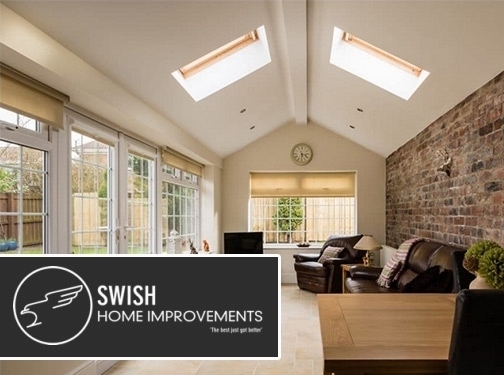 Here at Swish Home Improvements, we offer home improvements, windows, doors, porches, conservatories, SupaLite roofs, upvc casement windows, tilt and turn windows, composite doors and residential doors to clients throughout Middlesbrough and the surrounding areas of Cleveland. If you would like to find additional information on the products and services that we offer, be sure to get in touch with our experienced team today. We'd love to hear from you and assist you in any way we possibly can. The technology involved with windows has come a long way and at Swish Home Improvements, we understand that the choice of windows will have a huge impact on how much you enjoy your home. Windows are not always seen as an important part of the home but, by getting it right, you could save money and live in a much safer and ambient home. We have windows that are energy efficient, minimise noise and provide maximum security whatever you require, the team at Swish Home Improvements can make sure that your house is fitted with the optimal window combination, making your home what you need it to be. If you're based in Middlesbrough and are in need of new windows, upvc casement windows or tilt and turn windows, call us today. Casement windows are the most popular type of window in Middlesbrough, as they bring a nice balance of security, energy-efficiency and noise insulation, whilst being a very user-friendly window. We have access to the broadest range of casement windows, allowing us to repair, maintain or install upvc casement windows and save our customers money whilst delivering maximum results. Composite doors are made of a combination of materials, such as wood, PVC, insulation foam and glass, composite doors are designed to reach a perfect balance of security, usability, durability and heat efficiency. Composite doors have fast become one of the leading sellers for exterior doors due to being very efficient. In Middlesbrough and the rest of the North East, Swish Home Improvements are composite door specialists and ensure that customers get the best value for money on any new composite door. Our range of residential doors offers a wide variety of finishes and styles from simple, glazed designs to more ornate options suitable for the contemporary or traditional home. First impressions last, and your front door is the first impression that visitors get of your home. Therefore, it's essential that your front door looks good all year around. Residential doors from Swish Home Improvements in Middlesbrough don't just look great, they are also highly secure and low maintenance. We provide SupaLite Roofs to our customers across Middlesbrough and the North East. For SupaLite roofs, we offer a strict installation process that involves adding 3x2 timber to all of your existing spars and then half-cladding them with hollow boarding. Once we have finished this process, we'll fit it with 10mm of Rockwool insulation and apply a seal and trim. Our experienced team will also make sure that the SupaLite roofs are sealed correctly and provide a clean finish on all of the work that we undertake. The SupaLite roofs that we provide in Middlesbrough and around the North East really are first class. If you're based in Middlesbrough and the surrounding areas of Cleveland and you require additional information on the services that we provide, such as home improvements, windows, doors, porches, conservatories, SupaLite roofs, upvc casement windows, tilt and turn windows, composite doors and residential doors, please don't hesitate to get in touch with our experienced team today. We're always here to take your call, deal with any enquiries and answer any questions that you may have regarding the services that we offer in and around the Middlesbrough area. Alternatively, you can take a look at our website to see a full overview of the services that we offer to Middlesbrough-based clients, we're sure that you'll love what you find. UK (Middlesbrough, Cleveland) based business - providing a range of home improvement services. Website includes details of services provided, work examples, testimonials, certifications gained, associations belonged to, details of complaints procedure, full contact details including company registration number.